Visitors to the red-light district north of The Hague’s Hollands Spoor station will be getting a new kind of eye-full in coming months with the formation of the Trixie artists initiative. To juxtapose the scantily clad, gyrating women, passing voyeurs peering through the windows at Scheldestraat 1 will see, amidst the mirror-line walls, an immersive world of art that celebrates and stimulates the neighborhood it is joining. The Trixie initiative is seeking young artists to share in the formation of a new collaborative programming space. Trixie, which is made possible through a partnership between Stroom and the municipality of The Hague, will offer open studios for 17 artists and a public exhibition area. Artists of all kinds – not only visual artists, but also writers, filmmakers, scriptwriters, fashion designers and other creative types – who seek an inclusive, cooperative studio environment and who graduated within the last five years are invited to apply. 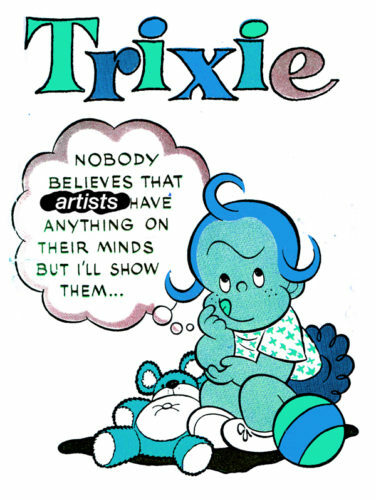 J&T caught up with a few of the artists already involved to learn more about Trixie and the vision behind it. Situated between Centraal and Hollands Spoor stations near the center of The Hague is prime location for Trixie. And the proximity to one of The Hague’s red-light districts is an intriguing – and potentially inspiring – prospect for artists already involved in the initiative. The building itself is large and open, with a long corridor running perpendicular along the back of the space. The front of the building, situated on the street corner, is lined with windows. This area, which was formerly a motor vehicle showroom, will be renovated into the public gallery. The rest of the building is a blank slate, and initiative members will be responsible for shaping it into studio and shared areas. “We have a building that it’s one big space, so we’ll do everything, from building the actual studios to eventually running a program, organize events, et cetera”, said Veloso. Since the initiative will be built by its members from the ground up, collaboration will be vital for Trixie to be a success. As such, Trixie invites artists who are willing to be team players to apply for the remaining slots, while keeping in mind that joining the imitative means sharing in both the success and the struggles that inevitably occur when creating a new project. “Trixie is not supposed to get very old, actually”, added Giakoumi. The deadline to apply for Trixie is 23 March 2018.